Water Tag Rental - Jolly Jump Inflatables: Party Rentals Columbus, GA - Bounce Houses - Water Slides - Auburn, Opelika, Phenix City and Fort Mitchell In Georgia and Alabama. Water Tag is here! 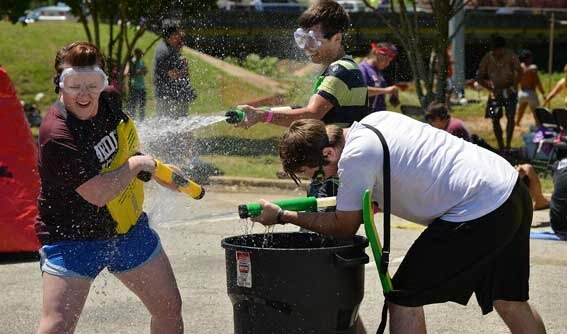 Looking for a fun way to cool off this summer?Play Water Tag at your summer party or event. Our high pressure water tag guns shoot a stream of water up to 40 feet away!